Welcome to the shores of Lake Victoria, where the Sub-Saharan League works tirelessly to create a second beanstalk reaching to the stars. But like the rest of the world of Android, political intrigue and warfare lurks around every corner. The source of funding for the new space elevator is still up for debate, with the SSL looking to Beijing for assistance. And then, there is the Weyland Consortium, anxious to see the new project fail. 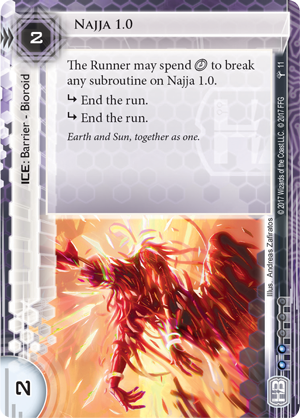 All this and more awaits in the new world of Android: Netrunner. 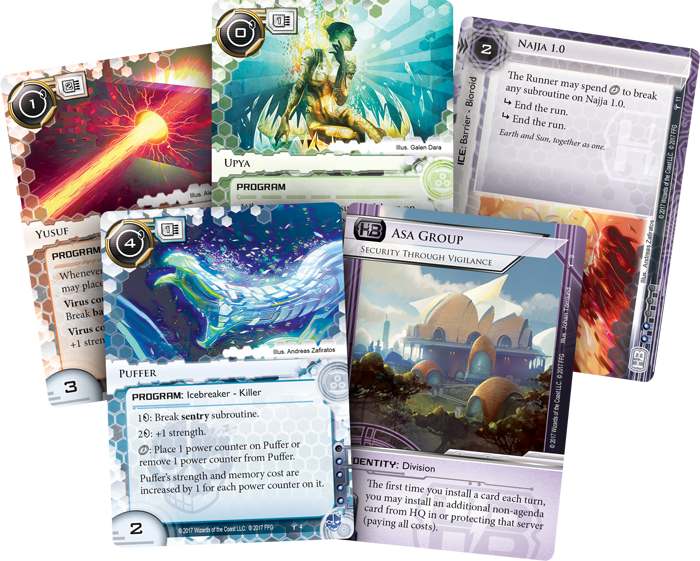 Sovereign Sight, the first Data Pack in the Kitara Cycle for Android: Netrunner The Card Game, is available now from your local retailer or our website. Sovereign Sight introduces many new staple cards to Android: Netrunner in the wake of the game's first rotation. Look for every faction to gain new cards to expand their themes established in the Revised Core Set. Anarchs receive powerful new viruses to bring mayhem to the corp, Weyland receives a new gray op to push the runner into a corner, and HB spins up a new division that takes advantage of their incredible click efficiency. All this and more awaits in Sovereign Sight. Haas-Bioroid has always been about incredible efficiency, getting the most out of their clicks by breaking through the normal limits of the game, and this pattern continues in Sub-Saharan Africa with the Asa Group (Sovereign Sight, 9). The first time you install a card each turn as Asa Group, you may install an additional non-agenda card from HQ in or protecting that server. This introduces possibilities for many strong plays, especially near the start of the game. Early in the game, you may put an agenda in a new remote server and immediately protect that agenda by installing a piece of ice in front of it for no additional click. Or, you could also put an agenda or asset in a server along with an upgrade at the cost of just one click. Regardless of what you choose, the clicks that you save can go directly into the Asa Group’s pocket, being used to gain additional credits, play economy-boosting events, or refill your hand after installing multiple cards. 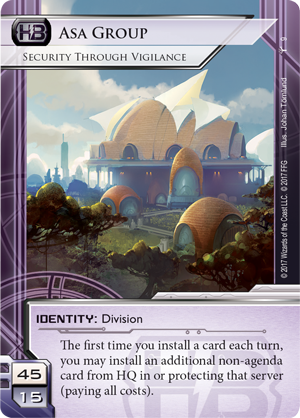 One of the cards that you may choose to install is Naija 1.0 (Sovereign Sight, 11), a new bioroid found in Sovereign Sight. With two "end the run" subroutines, Naija 1.0 is a costly barrier to break, whether a runner does it through credits or clicks. Naija 1.0 can be a costly drain even when the runner has a fracter installed, and when paired with Asa Group, it's a nasty piece of ice to install along with another card in a remote server. Of course, Haas-Bioroid isn’t the only corp to get new tools in the Kitara Cycle. Crossing the Weyland Consortium comes with consequences. Whether that comes in the form of an unfortunate Traffic Accident (Order and Chaos, 22) or a more direct approach, Weyland has the resources to ensure vengeance is always a viable option. Wake Up Call (Sovereign Sight, 19) will always make the Runner think twice before making a run. 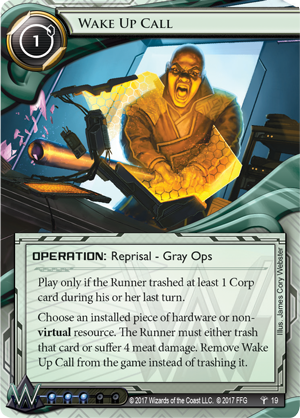 So long as the runner trashed at least one corp card on their last turn, you may choose a piece of hardware or non-virtual resource. 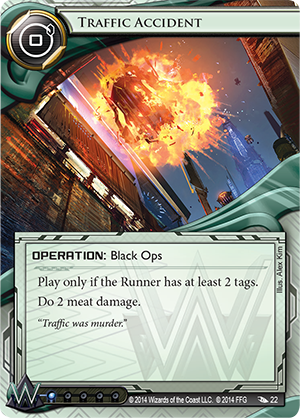 Then, the runner must either trash that card or suffer four meat damage. If the Runner wants to protect the web of resources and hardware they’ve created, they will always think twice before trashing one of your cards. Of course, the runners get their own new set of tools in the Kitara Cycle. Anarchs still focus on various viruses, many of which use various counters to get the edge over the corporation. In Sovereign Sight, all of these viruses gain a secondary effect. Yusuf (Sovereign Sight, 2) is a fracter that both boosts its strength and breaks barrier subroutines in a unique way. 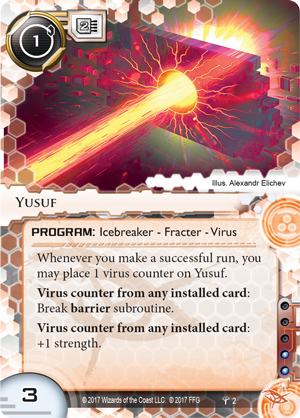 Yusuf is powered by the virus counters found on any installed card. Whenever you make a successful run, Yusuf will gain a virus counter to use with its abilities, but its true strength comes in the ability to use other counters to get through barriers at no expense to your credit pool. Of course, there is one glaring weakness. If the Corp decides to purge virus counters, Yusuf becomes essentially useless. Still, Yusuf is a powerful focus for the virus counters that many Anarchs are sure to produce. 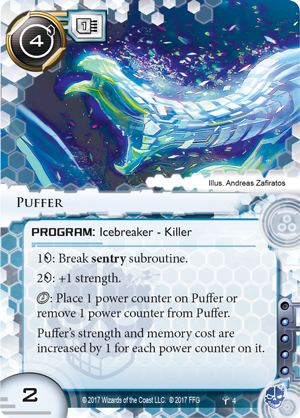 Criminals also get a new breaker in the form of Puffer (Sovereign Sight, 4), a powerful killer. While you can pay two credits to boost its strength by one, you may also use a click to place or remove a power counter on Puffer. These power counters increase both Puffer’s memory cost and strength. Early in the game, before your rig is fully set up, this is a powerful effect. Placing two counters on Puffer gives it to strength to take down most sentries in the game without any further boost. Then, as you prepare to fill out your rig, you can remove these counters to make room for additional programs. The flexibility and versatility of Puffer makes it a powerful tool for any Criminal. 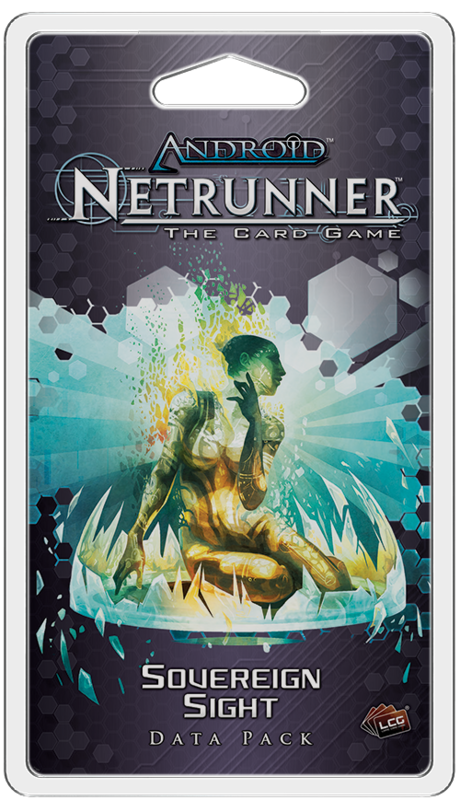 The next stage of Android: Netrunner has arrived. Jack into the Sub-Saharan League and prepare to jump into a whole new world. Find your new tools and purchase Sovereign Sight (ADN50) now from your local retailer or our website!